Home > Travel guide > Trang An - Ninh Binh - Viet Nam - The World Cultural And Natural Heritage. Trang An - Ninh Binh - Viet Nam - The World Cultural And Natural Heritage. 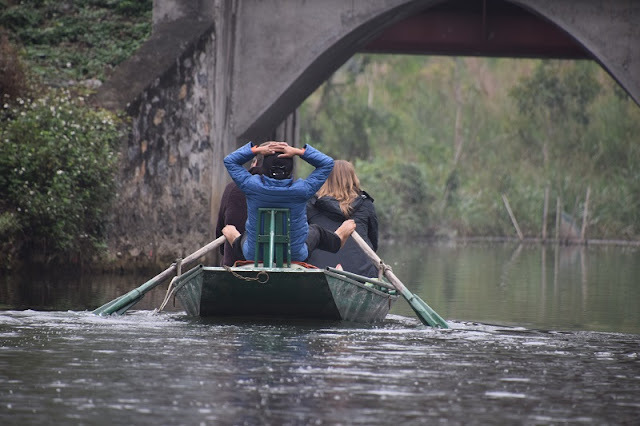 Momentarily going away from the busy capital of bustling Thang Long, come back to the ancient place of Hoa Lu, Trang An, Ninh Binh. A picnic trip during the day; a"three-turquoise" destination: green moutain, green water, green forest; a rustic village; an ancient city still full-traced with the ancient vestiges of three dynasties: Dinh, Tien Le and the beginning of Ly ... will surely give you a peaceful day for relaxing the soul! 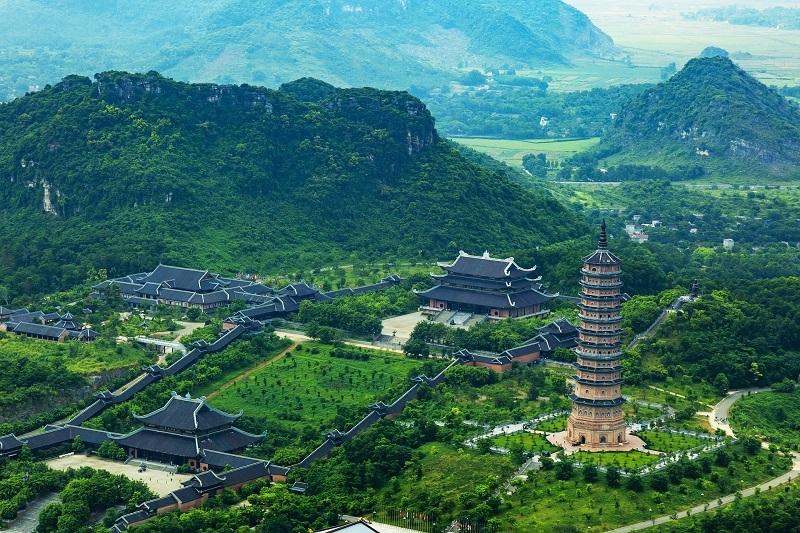 Trang An Scenic Landscape Complex has become the first site in Vietnam to receive UNESCO mixed natural and cultural heritage of the world recognition and designated in June 2014 as UNESCO. The site meets three criteria. The Culture: Trang An criterion contains evidence of human interaction with the environment, demonstrating that man has adapted to the most rigorous geographical and environmental changes on Earth, especially during the climatic changes that took place in the end of the last ice age. 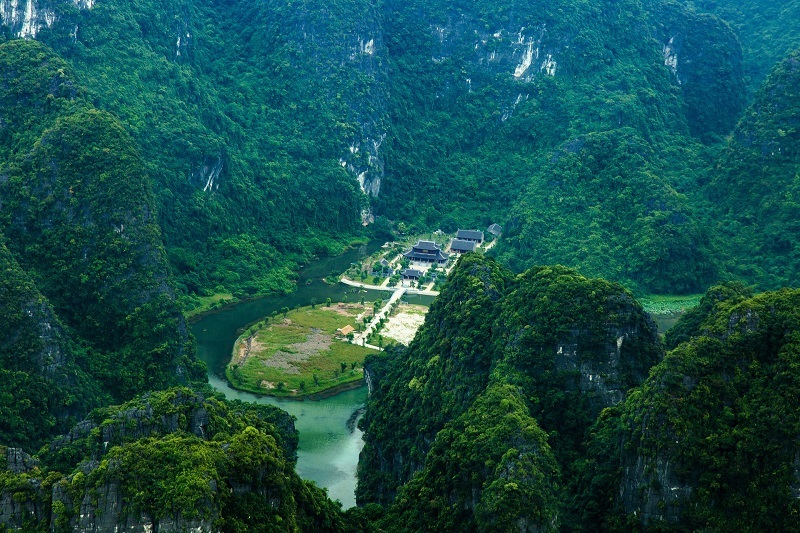 The aesthetic beauty criterion: Trang An is a spectacular landscape of karstic peaks framed by steep cliffs, crisscrossed by mysterious valleys, tranquil rivers, dotted with temples, pagodas and sacred places. The Geology and Geomorphology criterion: Trang An is a proof of the last periods of the karst evolution process in a tropical and humid environment. In other words, Trang An is Vietnam's first mixed world heritage, recognized on the basis of the mixed culture and nature criterion. Located on the southern bank of the Red River Delta, Trang An is a picturesque landscape of karst peaks crisscrossed by valleys, some submerged, and framed by steep cliffs. Exploration of some of the highest caves has found traces of human activity dating back around 30,000 years. They testify to the occupation of this massif by hunter-gatherers and their adaptation to climatic and environmental changes. The site also includes Hoa Lu , the ancient capital of Vietnam X e in the XI th century, as well as temples, pagodas, rice fields, villages and sacred places. Trang An, almost intact, is a well-known site in South-East Asia and worldwide. Archaeological excavations have uncovered shells, animal bones, ceramics, stone tools and human bones.